A man in Washington, DC handed another man in Washington, DC a report and the media lost their mind. 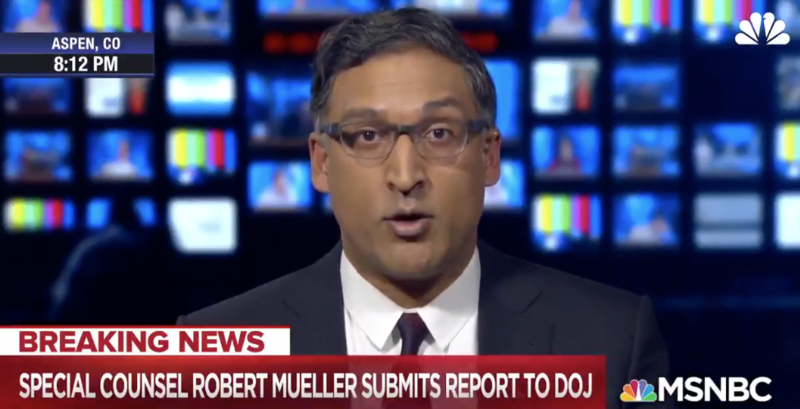 Cable news went into defcon 5 after learning that Special Counsel Robert Mueller had filed his final report and handed it over to Attorney General William Barr. But, no one knows what’s in it? And to be clear, we may never know the full contents. But, that did not stop cable news from speculating and hyperventilating as to what the report said. Many cable newsers pointed out that this end of a 674 day long investigation, when in reality it is the end of the beginning. That does not mean more people will not be indicted. The anti-Trump media are spouting things they know nothing about. While doing his investigation Mueller brought almost 200 charges against people close to Trump and some people in other countries. You can expect there will almost certainly produce more charges coming. Congressional and counterintelligence investigations could eventually produce still more. The media is going crazy over the fact that Mueller submitted his final report, but the investigation is far from over. Barr says that he may brief Congress on the early findings in the report, but in reality it will take days to deep dive into it. My advice to you, turn off cable news this weekend, let the slow turning wheels of justice do their thing and wait and see how it plays out.